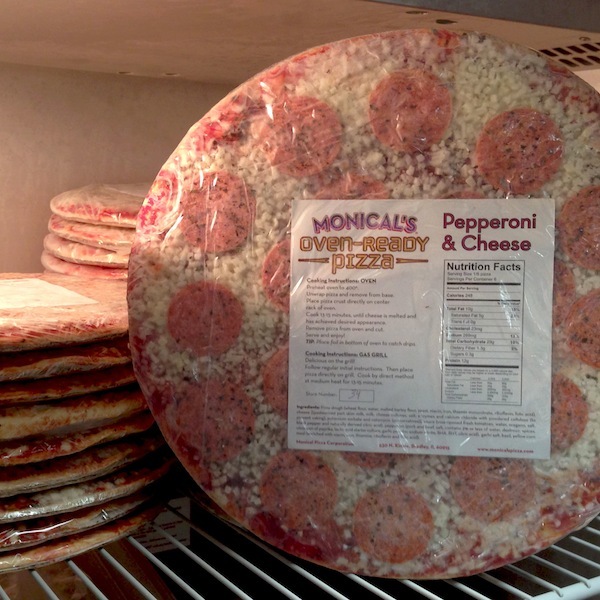 Your organization purchases certificates for Monical’s Oven-Ready Frozen Pizzas at a discounted price. Your group then sells these at the amount you designate to friends, family, neighbors, co-workers or anyone who enjoys pizza! Your group/organization keeps the difference as profit. How much money your group makes depends on how many certificates you sell. The more certificates you sell, the greater the discount and profit you receive! Where can I redeem Monical’s Pizza with a Purpose certificates? Certificates for Oven-Ready Frozen Pizzas are redeemable at participating Monical’s Pizza® restaurants for purchaser’s choice of Cheese, Sausage or Pepperoni pizza. Complete your Registration Form below (Registration Form) per the directions on the form. The suggested selling price is $10. Cost of each Monical’s “Pizza with a Purpose” certificate is $7. If ordering between 200 and 399 certificates, the cost is $6.50 each. Orders of 400 or more certificates will cost $6 each.